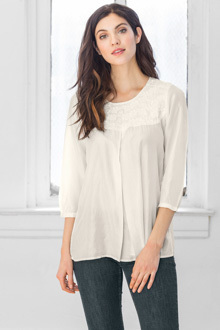 This easy shirt with exquisite embroidery is ready to go anywhere any time. Dress it up or wear it with jeans. Accessorize it. It’s a great staple to add to your wardrobe.